At least one or two special outings each year for families who might not otherwise get to go to many special days out. 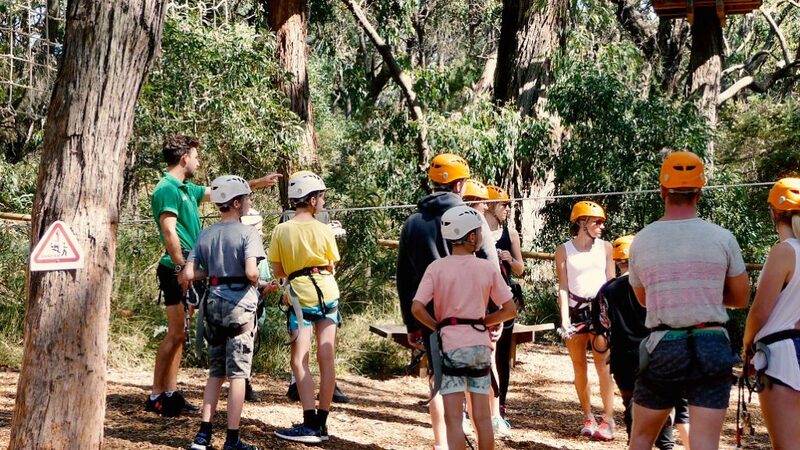 This year we went to the Adventure Playground on the Mornington Peninsula where families enjoyed tree climbing, different maizes, a giant slide, beautiful surroundings and a special picnic lunch. An annual Christmas party to be held this year at Gleneagles Secondary College with a live band, Christmas dinner, games and craft activities for the children and an animal farm and a Day Spa for the mums! Community Garden situated at Gleneagles Secondary College where people in the community can hire a garden wicking bed to grow their own vegetables. They also have the opportunity to join us for special guest speakers talking about various aspects of growing fruit and vegetables. The community garden also boasts a pizza oven and BBQ to better enable all to enjoy gardening together!